The latest iDVR-PRO Viewer app for Android supports remote Internet audio surveillance. 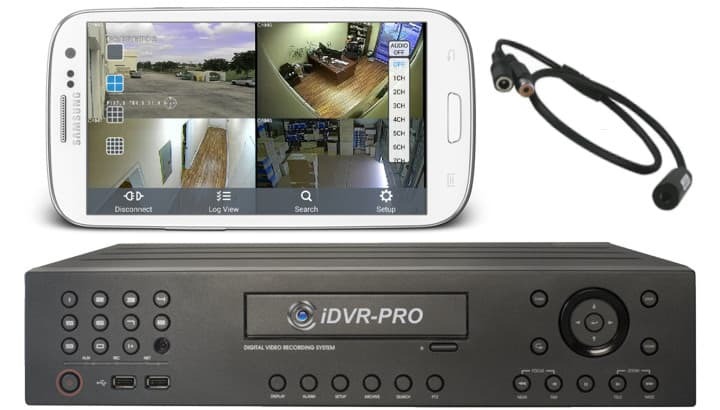 Users can listen to live audio from surveillance microphones connected to any model iDVR-PRO CCTV DVR. 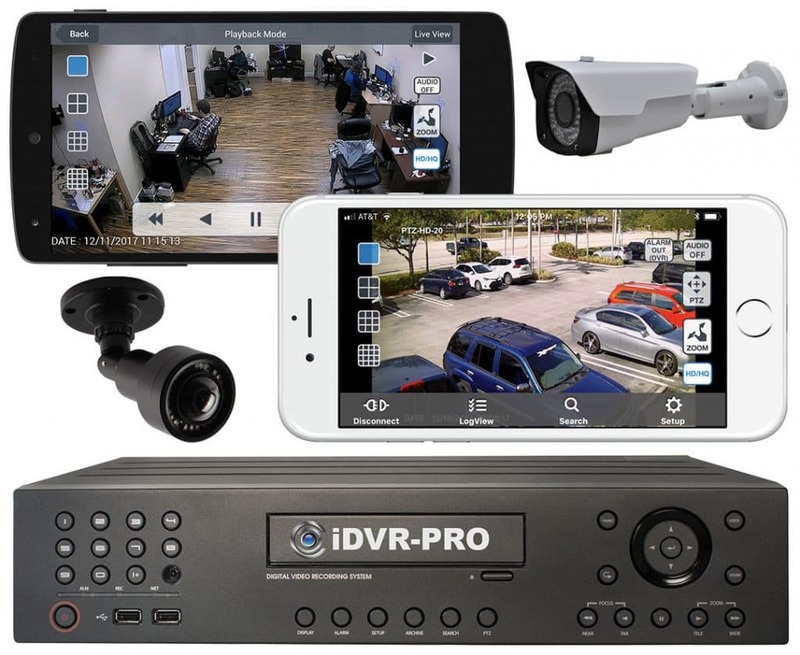 In addition to live audio, users can also playback audio and video surveillance together that have been recorded to their DVRs hard drive. Both live and playback work over a local network connection and remotely over the Internet. The latest app version can be downloaded from Google Play. 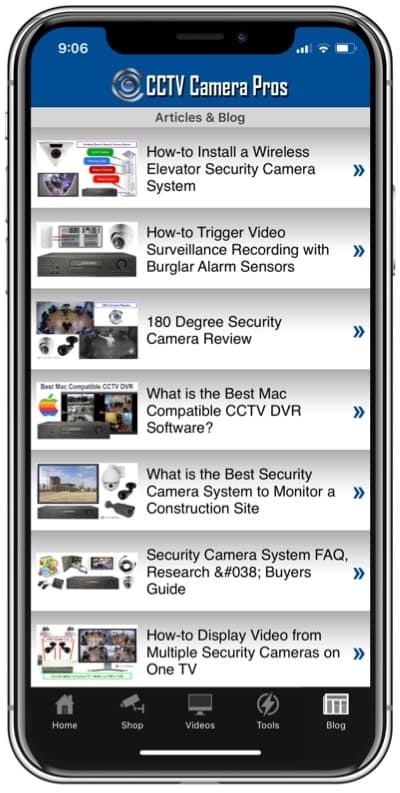 Please note that this app is designed to work only with iDVR-PRO video surveillance DVRs. It is easy to enable audio in the app. Here is how it works along with some screenshots. Start by following the step by step instructions here on how to enable network / Internet audio streaming on your DVR. That page also has a video on how to wire a microphone to the input on your DVR using plug and play cables. Both steps are required to enable remote audio. If you also want to record audio on your DVR so that you can play it back in the app, you should read the section on that page on how to enable recording. Once your microphone is wired and your DVR is setup, here is how you can enable live audio in the Android app. When the app is in live mode, users can tap on the Audio button in the upper right (noted with the orange arrow). When that button is tapped, a dropdown box appears that lets the user select the microphone channel that they want to hear. Depending on the iDVR-PRO model, 4, 8, and 16 channels of audio are supported. If the user enabled audio recording on their DVR, they can also choose a microphone to hear when the app is in playback mode. I have been testing this new feature since last week and so far it is working great. Important Note: there are strict local, state, and federal laws that govern the use of audio surveillance. You should consult with your attorney before implementing an audio surveillance system to make sure that what you are doing is legal.